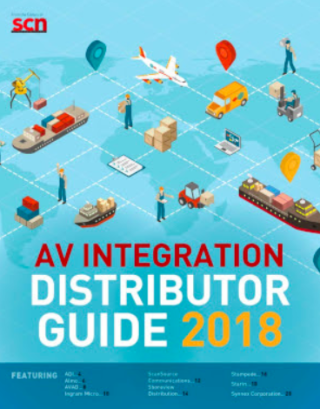 Get your free copy of the AV Integration Distributor Guide! More than ever, integrators need to know who they can go to for their equipment needs. This guide showcases the major players in the industry and reveals how distributors are helping integrators amplify the user experience. Featuring Almo, Ingram Micro, Synnex, and more.